The mailman delivers empty boxes to my house. Free of charge. All folded up and easily stacked for whenever the need for a box in which to ship gifts and goodies to my grands may arise. My stack currently stands at ten large, ten medium, and five oversized padded envelopes. Drink and eat leftover kid food once visiting grands go home. The week after Bubby, Mac, and Jak went home, my breakfasts consisted primarily of Dannon Smoothies and Squeezables. Snacks were cheese sticks for me, packets of mini Chips Ahoy for Jim. We went through the extra boxes of Mac & Cheese in no time. The boys won't be back anytime soon, so why not? 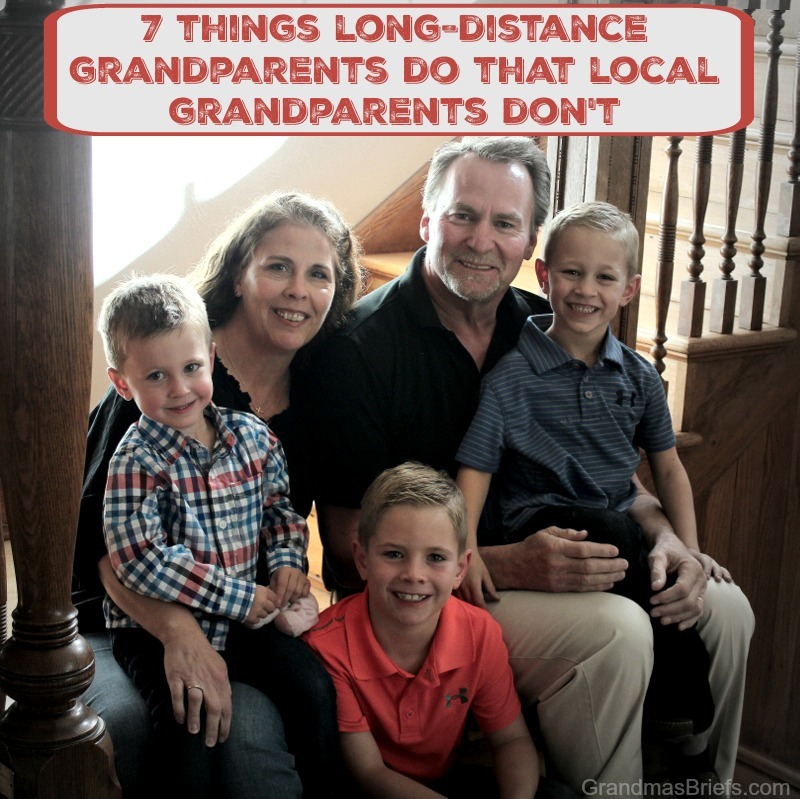 Include the city where grandkids live on iPhone and Android weather apps. I live in the mountains. My grandsons live in the desert. Ne'er do the temps and precipitation teeter near the same range. Like many an older folk, weather — and the difference between what my grandsons and I experience — proves an always popular conversation... or concern. Leave medications within a child's reach ninety-nine percent of the time. I take various prescription medications. Over-the-counter ones, too. My husband takes even more. Of each. All of our pills can be accessed from medicine cabinets, countertops, bathroom drawers. Most of the time. When our grandkiddos come to town, though, first order of business in prepping the homestead is placing bottles and boxes and pill cases up and out of reach. Use the bathroom unhindered by step stools and tub toys. I nearly never must scoot a step stool out of the way to use the toilet — then remember to put it back before the shortest needs a boost for their booty. I nearly never pull toys from the tub or shower before getting in. The rare times I do, I smile, scoot and pluck the lovely reminders kids are in residence with no clucks or complaints. Dust toys and bookcases filled with picturebooks. So much time trudges on between visits from my grandsons that dust piles up on all trucks, blocks, books, and more awaiting use that regular dustings are a must. Putting them away in boxes and closets during the months "the boys' room" stands empty would be wise. Though if I did so, it would no longer seem "the boys' room" at all. Defy science by continuing to exist while parts of our hearts beat hundreds of miles away. Quite a feat, I know. Need I say more?